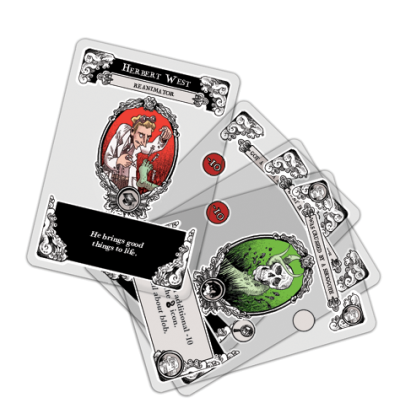 Entertainingly, you play the game with clear plastic cards that do horrifying things to your character (like Herbert West or Professor Armitage) as you pile them on. If you're interested, you can check out the rules of the game here. I have the original Gloom and some of the expansions. While the concept is unique and the cards will give you a chuckle the first time you read them, the gameplay gets really dry after a round or two. I'll disagree with Tome Wilson on this in that gameplay for me and my son has remained fun. I would say the creators erred in making all of the character cards interchangeable. There's no strategy behind having the Arkham group or Innsmouth group or having Wizard Whatley die before Lavinia. Happy Diwali Images Even the diwali wishing messages have been filled up with more emotions inside them. We’ve got all sorts of deepavali wishes, which different men and women desire in different manner in English. These wishes, greetings and messages are one of best and you can send easily to all of your near and dear family members that shows you remember them on this auspicious occasion of Deepawali 2018. Relatives and friends who you haven’t met or talked from very long time because of their busy life style , now you have receive a chance to remember each other and wishing Diwali by sending Messages of Happy Diwali 2018.